Looking for the love of your life? Look no further! Maia is here and looking for her forever home. 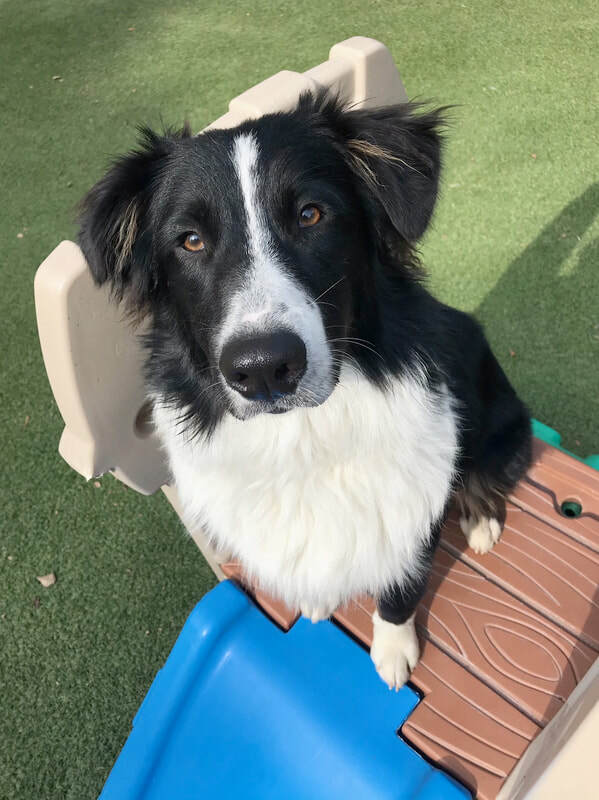 ​Maia is a 6-month-old purebred Australian Shepherd (minus papers). She is a gorgeous, sweet, smart and I believe, soon to prove to be a petite pup (mom was around 40 lbs). While I love her dearly, and do not wish to find a new home for her, I believe a home with older, and possibly fewer, children would best suit her (or an adult that knows and heartily accepts the training needs of a 6 month old Australian Shepherd). I have three young kids (9, 7 and 4) and the combination of the three of them, particularly the youngest, and her breed are perhaps not the most ideal (they seem to overstimulate each other which is difficult to deal with when there are breakfasts to make, lunchboxes to fill and my husband is out of town). She is a wonderful playmate with other dogs and lives for a good romp. She shows no fear in meeting new people or dogs. She read other dogs very well and adjusts her play to fit their personalities. She loves kids (perhaps too much) and is very social. She is crate-trained, housetrained, spayed, and up to date on her doggie shots. She will come with her crate and beds, toys, bowls, food, etc. She’s quick to learn good behaviors, and while she has a few to temper, I am quite convinced that without the high energy of young children in her environment, that she would quickly let go of any inclination toward "junk" behavior and be as close to as perfect a dog as anyone could hope for. To apply to adopt Maia, go to the top toolbar, click Adopt, click Dog Application; then fill it out and send it in. A volunteer from Summit Dog Rescue will get back to you as soon as they can.